Driving in Costa Rica is a topic that is often discussed in the planning stages of a Costa Rica Escapes’ itinerary. Very rarely do we recommend or suggest that our clients handle their own driving, and if we do, the traveler(s) have asked us about the practicality of renting a car for their trip. The majority of focus as it pertains to Costa Rica driving has to do with (1) safety. The distant second-most discussed topic on this subject has to do with (2) cost comparison. Most of the main roads in Costa Rica are in great shape; however, if you are exploring Costa Rica on a family travel experience or adventure tour, the chances are high that you will not be traveling on the main roads for very long. This is where the safety issues begin to surface with Costa Rica driving. Secondary roads and side roads are often unpaved and rarely maintained in Costa Rica. Most of those roads are quite narrow, and the vast majority of the roads are only two lanes with no substantial shoulder (which is also true for many roads in the heavily populated parts of the country). Also, remember that you will be driving in a country that has many different weather conditions depending on the places you visit. During the dry season, you might enjoy nicer driving conditions, but it is always possible that you will find yourself cutting through thick fog or heavy rain, and those situations usually lead to other issues like car accidents, washouts or landslides that will surprise you along the way. Just like driving in snow, it takes practice to generate the right kind of confidence to drive under those conditions. So, unless you are used to these driving conditions, it might be better to consider other options for moving around. Inside the central valley and in most of the main roads that cross the country, lighting is fairly good. But once you leave the great metropolitan area, lighting at night can be virtually non-existent. Therefore, the night driving conditions can be a bit scary, especially if you are cruising one of the many windy and narrow roads that traverse the country. Another problem Costa Rican roads have is the use, or lack of use, of appropriate signage. The country makes a good effort to place and maintain the correct signage on the roads when it comes to vertical signage, but the horizontal signage (painting the roads with the appropriate lanes and information) is less consistent. There are places where even in the busiest roads in the central valley where car lanes are not painted, so it is to be expected that you won’t see that kind of signage on smaller roads and even less on gravel roads. Hazard lights in Costa Rica mean something different. Commonly people would only use them when you are in a dangerous situation or when your car has an issue and you need to stop to fix it. But in Costa Rica, people in cars, motorcycles, buses, and trucks use them simply let others know “I’m stopping here and you need to figure out how to go around me.” Or in a nicer tone, they would use it to say “Thank you” to somebody that let them through. They also may use them in a car accident or when their car has a problem. Therefore, do not be surprised if you constantly see hazard light going on and off all over the roads! On the whole, as compared to most places, Costa Rican drivers are quite aggressive with their style of driving and like to drive fast. This is something that has been an issue in this country for many years. When driving, you must be careful with the way other cars try to get ahead in line (in the central valley there are a lot of traffic jams), across or around the roads. Also, there is the issue of motorcycles, and recently, bikes. Motorcycle drivers will make a lane out of any small space between cars, and they will pass you wherever and whenever they can. In small towns and rural areas it is common to see drivers without a helmet and using the vehicle for more people that it has been built for. There is a new movement that promotes the use of bikes in the central valley, but the problem is that the roads are not designed to be shared by cars and bikes, so it could be dangerous to drive around them. In rural areas is very common to see people driving bikes, but they do not use any sort of protective gear or lighting at night, so they turn into scary surprises for car drivers! Trucks and buses are another problem. Most of the time they act as if they own the road, because they are bigger and also because these drivers probably know the roads so well that they know when and where they can drive to their advantage. Sadly there isn’t a culture of the bigger guy protecting the smaller guy. In that same sense, pedestrians are not a priority in Costa Rica. Unlike countries like the US or European countries, cars, buses, trucks, and motorcycles will not stop for pedestrians, and pedestrians tend to do risky maneuvers. Put simply, driving in Costa Rica can be dangerous! Passing on blind turns and double-yellow striped roads is common and there is an unwritten code to passing. This is quite often a terrifying aspect of driving in Costa Rica. The roads in Costa Rica are often filled with large buses moving people between locations and there are a fair number of tractor-trailers and cargo moving vehicles, as well. More often than not, we find that when travelers from the United States, Canada, and even Europe are exposed to public or self-transportation in Costa Rica, their impression is not positive. They are typically happy they did not have to drive and in many cases have told us that they would have returned the car after the first day had they decided to rent the car. The crater-sized potholes and narrow roads with severe drops are almost always brought to attention as this discussion is initiated. When handled by a professional driver from a reputable transportation company, the driving is by far as safe as it gets. These drivers and companies have the most experience doing this and it is in their best interest to make sure everything goes smoothly. As a rule for our adventure travel tours, Costa Rica Escapes strongly recommends leaving the driving up to the professionals. We strongly suggest coordinating private or shared transportation between locations. In the end, it tends to be much less stressful to leave the driving to someone else and it ensures that travelers will arrive at their destination in a timely fashion without incident. In most towns, taxis are plentiful and not terribly expensive. Rental cars tend to be targeted by robbers and are often broken in to and must be secured in a very safe place each night. While it is nice to have the flexibility to come and go as you please, a rental car is very expensive in Costa Rica. The daily rates are high, there is a mandatory insurance for drivers from another country and gasoline prices and tax rates are expensive. For certain groups, mainly those looking to follow swells and waves for surfing, we do suggest a rental car because it will allow you to do this, but for virtually all other travelers it is best o hire a friendly Tico driver to get you around. 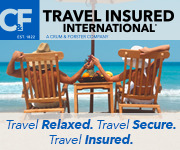 We can book safe, customized Costa Rica itineraries for any person, couple or family. Contact us for a free quote!